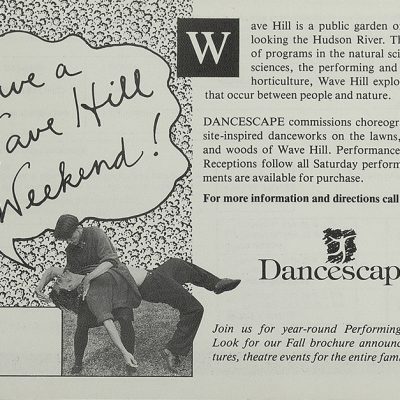 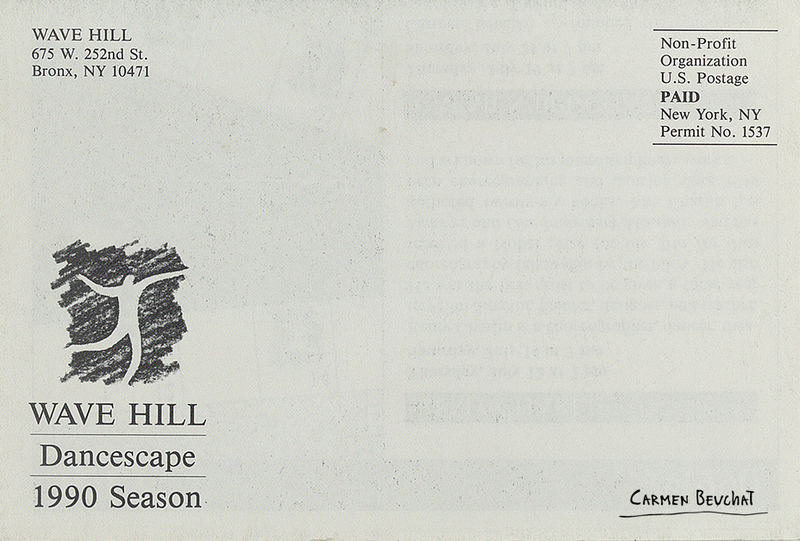 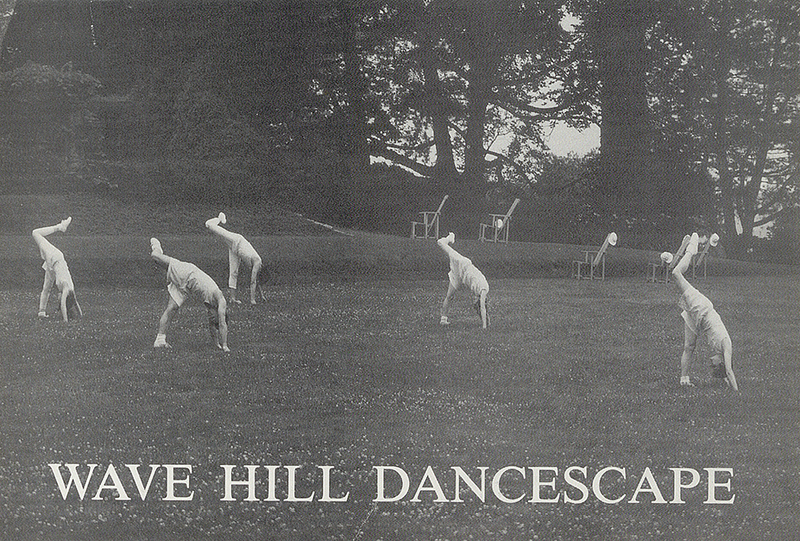 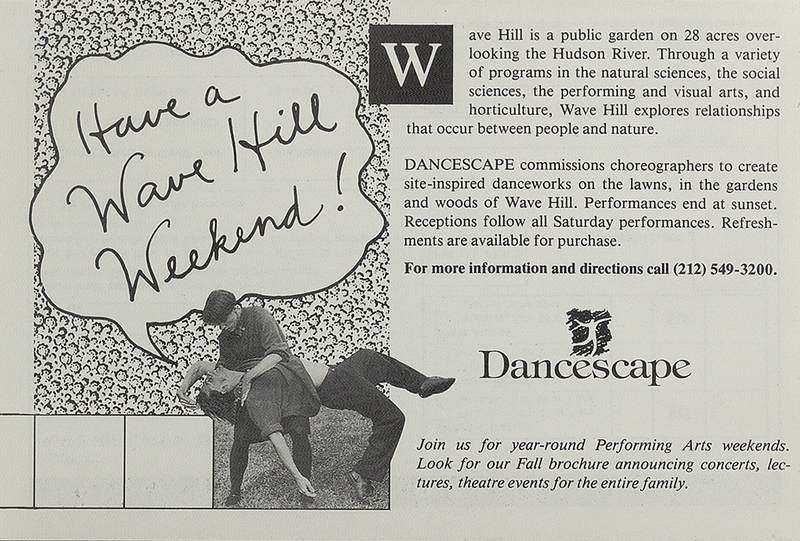 Invitation to Wave Hill Dancescape, 1990 season. 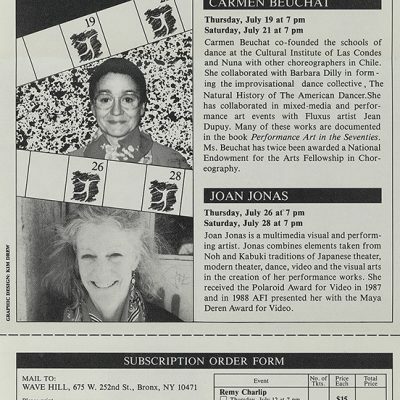 Participants: Remy Charlip, Carmen Beuchat and Joan Jonas. 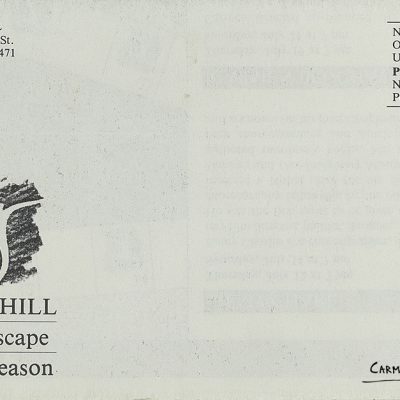 New York, United States. 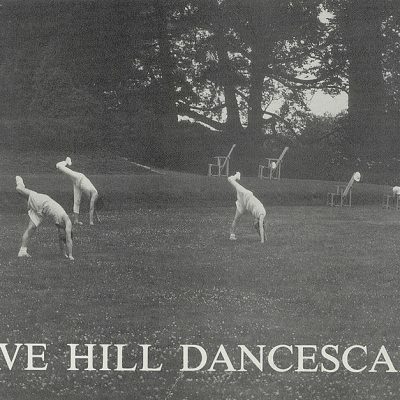 Physical Description: Invitation 16,4 x 11,1 cm.